MTG writers are frequently telling you what cards to be on the lookout for, especially in Standard. 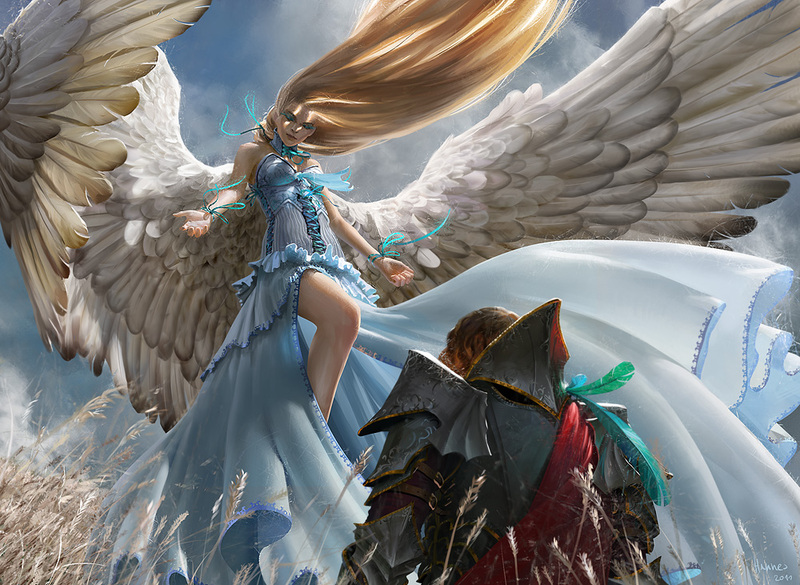 Anticipated shifts in formats and mid-week articles can herald the coming of a previously-overlooked rare, resulting in both greater demand and greater price for the card by Monday morning. This happens all the time, and we don’t need to look too far back to see examples of it. When Mono-blue exploded after the Pro Tour, the big winners were obviously Master of Waves, Thassa, and Nightveil Specter. Then there was Tidebinder Mage. Tidebinder jumped by a dollar or two. If you bought in Friday morning at ~$1.50, you saw a nice uptick to about $4 retail. Buylists didn’t move much though, and even if they did, it wasn’t for long. More recently we experienced the same thing with Pack Rat and Underworld Connections. Both were under $1 before the Mono-black list exploded at Louisville the weekend before Halloween. After that, they jumped to a good $2-3 each, and thanks to black’s continued success, remain there today. Let’s say you are excellent at speculating, and saw the Pack Rat/Underworld Connections jump coming. 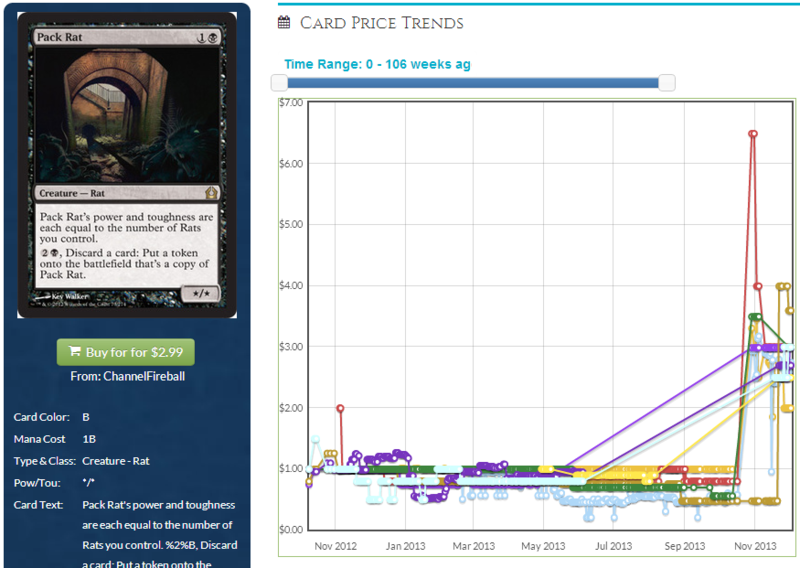 You likely would have looked at Nightveil Specter, saw a card gain $10 in two weeks, and had dollar signs in your eyes. You bought and traded for a bunch of copies of Rat and Connections, followed by spending some time adding all sorts of cool foils to a shopping cart, just waiting to make bank. Your prescience paid off, and you indeed made profit. Well, kind of. That giant spike sadly only represents a $2 rise. How many cards would you have had to buy to see actual cash in your pocket? 200 copies of Pack Rat would net you somewhere around $90 in profit, assuming some store actually wanted 200 copies (or multiple stores were offering $1). That sounds nice and tidy, but you would have had to shell out $100 upfront for 200 copies of Pack Rat. How often are you that sure of your success? Sometimes you Just Know, like the guys that preordered huge piles of Deathrite Shamans, Bonfire of the Damneds, Sphinx’s Revelations, or Snapcaster Mages. It’s not uncommon for people to just buy several playsets though, hedging their bets in case the card doesn’t pan out the way they hoped. In a situation where you pick up four to twenty copies, it isn’t even worth your time to go to the post office to mail them to the buylist. What then? 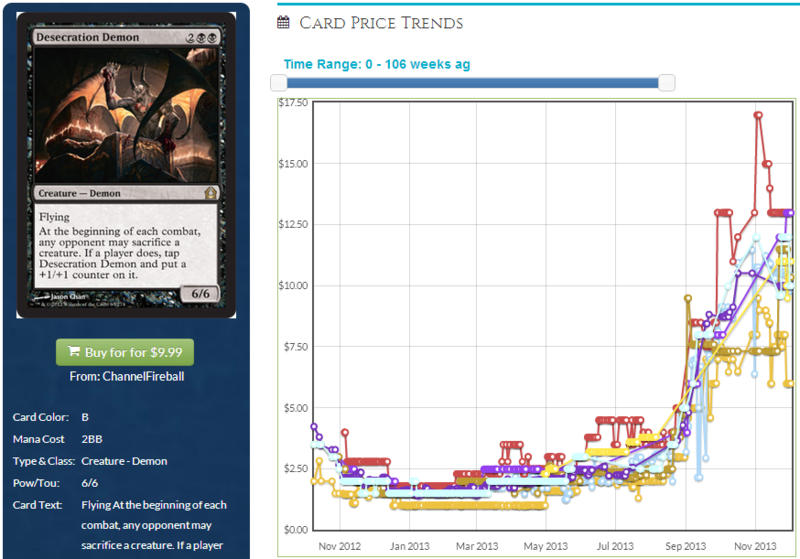 One of the side effects of a card jumping like this is that not only did the price rise, but demand also rose as well. Because of the general floor of rare values, as well as a seemingly invisible casual market, many rares will hold a price of $.25-$.75 with only the remotest chance someone actually wants to trade for any. When they hit $2-3, not only did the value go up, but that means the demand at your local store will have went from a stone cold nothing to an appreciable amount. This is where your best opportunity is to capitalize on small-value cards with large percentage gains. 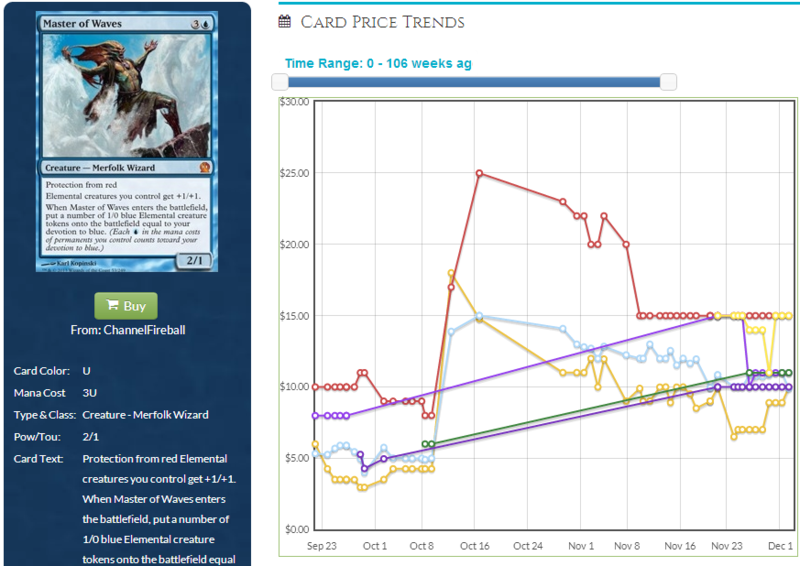 Imagine you bought four playsets of Underworld Connections for $.75 a card, hoping they’d spike. Your spec didn’t completely bomb, as they’re currently around $2.50 in trade, with a best buylist of $.90 as of 12/2. That’s hardly worth shipping to a buylist though. Instead, you should stick them front in center of your binder and head off to your LGS. With a trade value of $2.50, you can ask a good $10 in trade for the set. You can then utilize good trade practices and disparity of information to perhaps grab a Master of Waves from someone looking to move into black. Now, suddenly your $3 investment on a set of Connections has turned into a real card. If you can manage that three more times, you’ve managed to turn a mildly successful spec into a hot playset of Standard mythics. You can further take advantage of this situation by identifying cards with a good buylist spread. The long and short of it is that the smaller the spread, the better positioned the card is on the market. If Card A sells for $10 but has a buylist of $3, it has a huge spread and is less appealing to trade into. If Card B is a $10 card with a buylist of $7 or $8, a considerably smaller spread, it will trade at the same value as Card A but will make you more than double if you decide to buylist it. Those are the types of things you really want to be aware of when making trades in search of profit. This is physically painful for me to look at. Remember how I said Master of Waves is around a $10 card? As of 12/2, his best buylist is $4.18, and you may have a tough time getting one for a set of Underworld Connections anyways. Desecration Demon, meanwhile, has a slightly lower trade value, and has a best buylist of a whopping $6.30. If you sold those sixteen Underworld Connections at buylist for $.90 each, you would have made $2.40 in profit, which wouldn’t even cover shipping the cards to a store. Four Desecration Demons will make you $13.20 net cash profit from a buylist for the exact same trade value, whose trades you may even be able to get a throw-ins on. Smart trading indeed! Buying a few playsets of a card with good a outlook is common practice in the Magic world for those with a keen eye and prudent sense. Sometimes they jump, but you aren’t quite sure how to actually make money if the gain isn’t large enough. Now you have the knowledge of how to profit from these meager market shifts. Happy trading!